The Internet is the most effective way to spread the information. The role of the information medium serves the content. Text articles provide an opportunity to get inbound links to the promotional site and it influences positively on the reference ranking and website promotion through search engines. However, for business it is not enough to fill the resource simply with articles. The content should satisfy both search engines and website visitors’ interests, and they shouldn’t violate the copyright law. Copyright online requires the knowledge of image copyright, photo copyright and copyright of articles. As the work of virtual assistant is connected with the creation of the content, VAs should regard this essential law, especially Internet copyright law. So what is it? Without the understanding of what is copyright itself you can get legal problems while trying just to arrange your website and social media accounts for further promotion. Copyright on the Internet is a difficult topic. Copyright is a term for a legal right given by the particular national law that gives restrictive rights to the author of a unique work for its utilization or spreading. As a rule, such right is given for a certain period and has time frames. These rights are not total but rather restricted by abridgments and special cases of copyright law, in particular, fair use. The key point of copyright is that it secures just the certain way or form in which idea was expressed originally, but not the idea itself. Copyright guarantee the protection of intellectual property, specific types of creative work. Unlike patent or trademark for business, copyright does not require the special approval or document, as this right is automatic. Official recording is required to enhance the rights, but not obligatory. On the Internet, using different types of information for website copyright, you need to get the permission from the owner to use the work. Copyright is a special kind of law in every state. Anyway, there is nothing like global copyright law. About 180 states have signed the Berne Convention – a treaty managed by the World Intellectual Property Organization (WIPO). It establishes basic standards to protect the rights of the authors of copyrighted works worldwide. What’s more, there were endeavors of copyright laws harmonization in Europe and different regions. The situation is different about the copyright on the Internet – the rules are the same. As a rule, national legal systems, that concern copyright law, distinguish moral and economic rights within copyright. The USA and the United Kingdom, Australia, Canada and New Zealand, have a tendency to decrease the presence of moral rights for an accentuation on financial part – the economic aspect of copyright. Moral rights allude to the concept that a copyrighted work is a statement of the identity and the idea of humanity of its creator or maker. Economic rights refer to the exploitation of copyright works. They admit the privilege of the author to use, to approve utilization, or to disallow the utilization of the product, to establish the conditions for utilization the work. Distinctive particular uses (or “demonstrations of misuse”) of a work can be dealt with independently, implying that the rightsholder can manage every right (utilizing, exchanging, permitting or offering the right) on an individual kind-of-utilization premise. Fair use is the use of the original work for the essential purpose. It’s not the same term as plagiarism, referencing and adding a link to the original is not what’s called “fair use”. 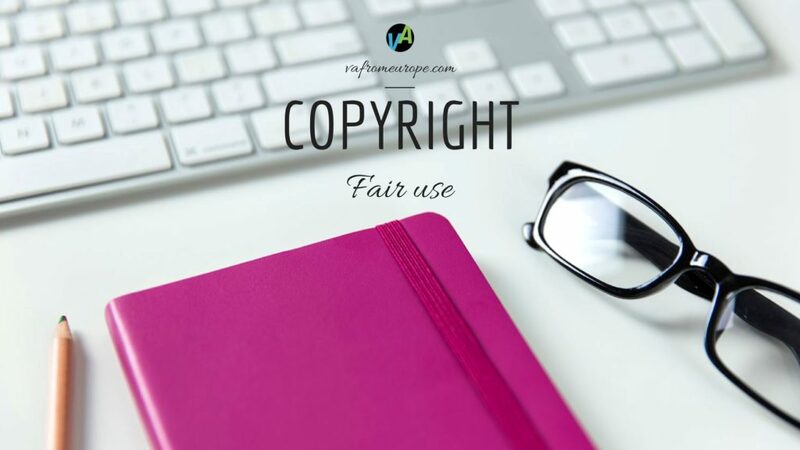 Fair use is the reasonable use of works or their copies for the special scope of purposes such as educational, informative, commenting and criticism. Of course, such use of the work must not make any harm for the author. This term is especially important for the website copyright, particularly connecting social media and the law. In the United Kingdom and Ireland, Canada, Hong Kong, Australia and New Zealand the rule of “fair use” defines a significant extent of employments where preliminary consent is not required. The list of what is fair use is recorded in law in each of those states, without saying particular conceivable use. In the United States (and Israel, Poland and conceivably a couple of different nations), the idea of “fair use” regard certain utilizations that are considered not to encroach on the privileges of the copyright holder adequately, and/or are regarded to serve an adequately critical open strategy objective, that they are allowed without the approval of the copyright holder. The variables surveyed by a court to decide reasonable use are put forward in every nation’s statute and case law. The most frequent use of the copyright law with the virtual assistant is copyright online. Copyright on the Internet has the same rules as the general copyright, except some special peculiarities. If the author download the work to a public domain, and the author noted that this content is for public use, everyone can use this work without breaking the Internet copyright. In other cases, it’s necessary to get the permission from the author, especially if the work is on the social media resource. This is how social media and the law works. Nowadays, Copyright and Internet are closely related to each other. There are tons of visual information on the Internet, including images and photos. Photo and image copyright rules bind to use the original image without transforming it and spoiling the quality of it. Virtual assistants recommend you to use the rules of photo copyright to avoid law issues and huge fines for it. 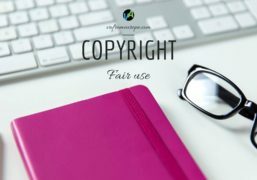 Fair use may have an exception allowing you to use copyrighted images, but you can be involved in a discussion or possibly find your site taken down by your host if the copyright holder disagrees. Unfortunately, there are no significant cases that establish hard-and-fast rules when it comes to fair use and images used on the Internet. Fair use might serve as a special case permitting you to utilize copyrighted material, images or copyright articles, but you risk to be in for a dialog or potentially discover your site pulled down with your host in case copyright holder isn’t agree. Unfortunately, there are no huge cases that set up firm standards with regards to fair use about the works on the Internet. The complying with the simple rules above will help you to save good reputation and avoid law issues.